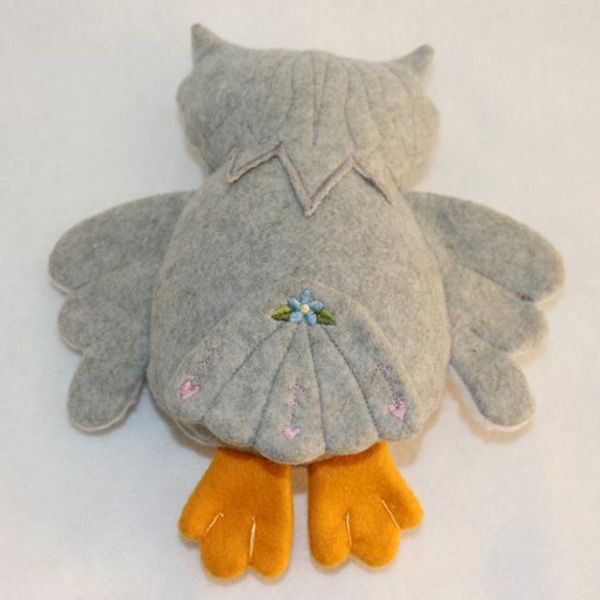 Hide Description Show Description An adorable, dressy soft toy owl with a flowery, scallop layered font, detailed head, wings and embroidered tail feathers. 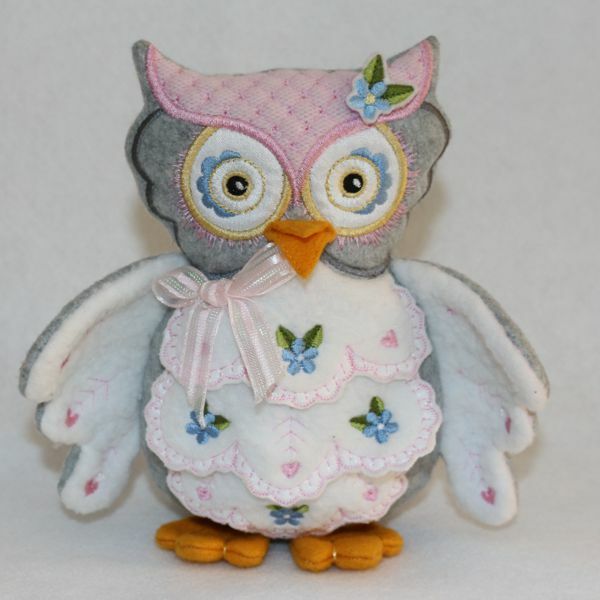 Smaller elements such as the owl head, daisies and a flower spray are also supplied to embroider on pjs, blankets, pillows or other projects as you desire. 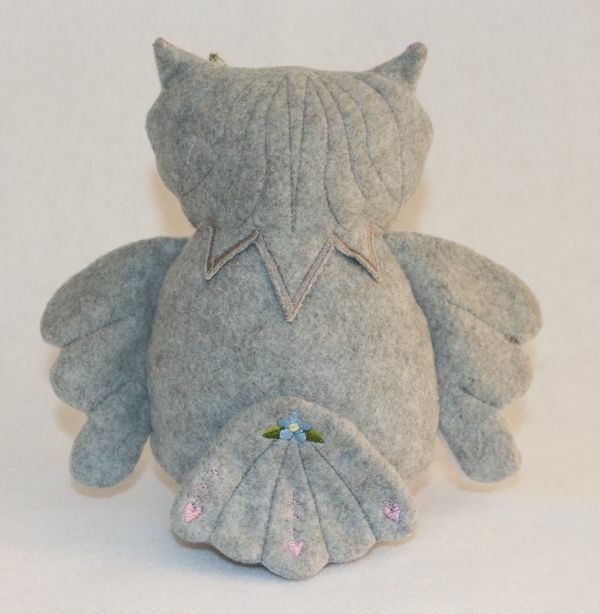 The body can be made in the 5x7 inch hoop and some smaller parts such as the head, paws and wings in smaller hoops. Seams left open after stuffing or other smaller loose parts will be assembled or attached by hand. Some parts need to be basted by hand in the hoop before embroidering it in place. The designs in this set have been digitized to for medium to heavy knit fabrics such as fleece, Polar fleece or any other medium to heavy knit fabrics. PDF includes easy to follow step by step instructions and pictures. Note: these toys are for children 3 years and older.